These excavations begun by Benjamin Mazar in 1968 were the largest earth-moving archaeological projects in Israel. Work continued until 1978 but has since resumed in the 1990s under the direction of Ronny Reich. These excavations are the most important for understanding the Temple Mount because of the impossibility of excavating on the mount itself. This street was fully uncovered in the mid-1990s and dates to the decades before the city’s destruction by the Romans in AD 70. The street is 32 feet (10 m) wide and was paved with large slabs up to a foot thick. The street was covered with massive stones pushed down by the Romans; only part of the street has been cleared by the excavators. The top stone on the southwest corner of the Temple Mount bore an inscription which read in part, “to the place of trumpeting.” The priests would signal the start of Shabbat and festival days by blowing the shofar from this point. The inscription was apparently only a notice to the construction workers as to the final destination of this specially-cut stone. 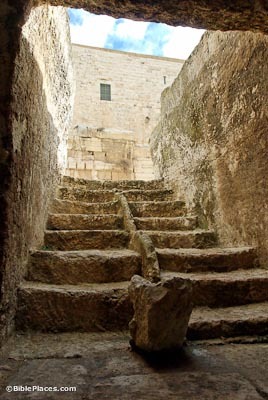 The western flight of stairs leading to the main entrances of the Temple Mount was 200 feet wide. Excavators uncovered the easternmost part of this staircase with its alternating long and short steps. Some suggest that the fifteen long steps may have been one of the locations where pilgrims sang the fifteen Psalms of Ascent (120-34) as they went up to worship. 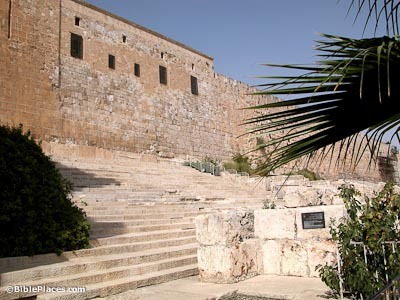 The Double Gates and Triple Gates provided access to the Temple Mount through subterranean passageways. 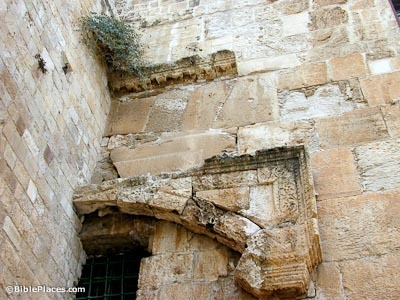 Half of the lintel stone and relieving arch of this Herodian gateway is visible above the later protruding arch. Above and to the right is a stone with an inscription mentioning Hadrian’s son (AD 138). Its position upside down clearly indicates that it is in secondary use. 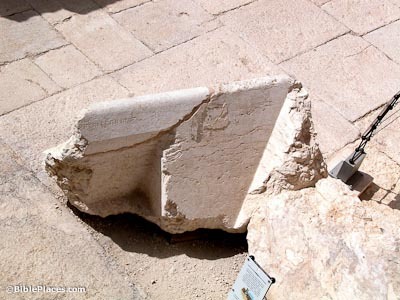 A series of public ritual bathing installations were found on the south side of the Temple Mount. 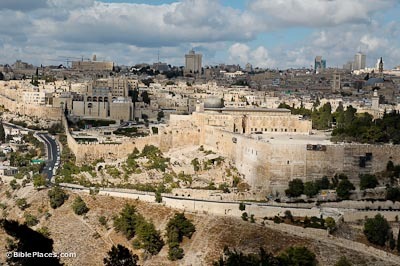 Because of the demanding laws regarding purity before entering holy places, demand for mikvot was high and many have been discovered from first century Jerusalem. Larger ritual baths such as this one have a small divider wall separating the entrance route from the exit. Stone Piles that Memorialize Jerusalem’s Destruction (PreteristArchive.com) From the Jerusalem Post’s archives, this article was written upon the opening of the “Herodian Street” to the public in April 1997. Good description of the finds and significance of this site. 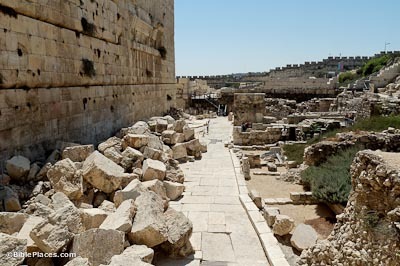 Jerusalem – the Herodian Street Along the Western Wall (Israel Ministry of Foreign Affairs) Summary of the history, geography, and archaeology associated with the Southern Excavations. Strong in its descriptions of the important archeological finds from the area. Robinson’s Arch (Dig the Bible) Great basic explanations with links to related subjects at the same web site. Pictures clearly illustrate the subject at hand. Solomon’s Stables and the Southern Gates (templemount.org) Detailed scholarly description of this area of the temple mount. 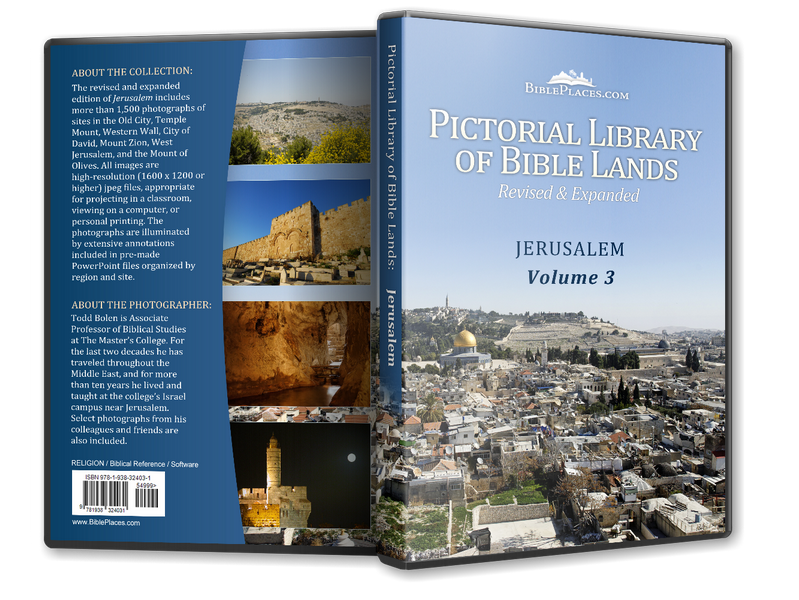 Focuses mainly on Solomon’s Stables, but also contains good sections on the Southern Gates. Walking through Jerusalem 2,000 Years Ago (Israel Ministry of Foreign Affairs) A description of the Davidson Exhibition and Virtual Reconstruction Center, the museum extension of the Southern Wall excavations’ archaeological park, offers a description of many of the park’s notable features.